Designing New Construction? We Can Help! Air Conditioning and heating experts, Air Systems Texas, wil lhelp you design your HVAC systems for installation in your new construction project. We work with builders and architects to make sure that your air conditioning and heating plan is accurate and up to coding standards for your area. We also evaluate the efficiency of your design and make recommendations based on best practices and years of AC/Heating Services. We know and understand new construction of air conditioning and heating systems so well that we can help you make important decisions at any phase of your construction project; however, getting in on the design phase of your new construction is always the best. Give us a call to schedule a consultation. 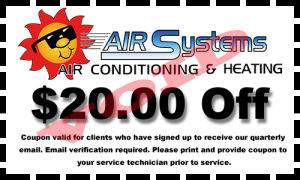 The best designs come from Air Systems Texas!